Jackson Grills Variable Grilling Surface allows you to cook small portion sizes such as vegetables or prawns on narrow spaced rods and larger pieces such as full size steaks or chicken breasts on widely spaced rods. Jackson Grills Flame Thrower Ignition System casts a flame across the side ports of the burner system for consistent, positive ignition. The igniter is well-concealed from grease and cooking debris to ensure longevity and performance. 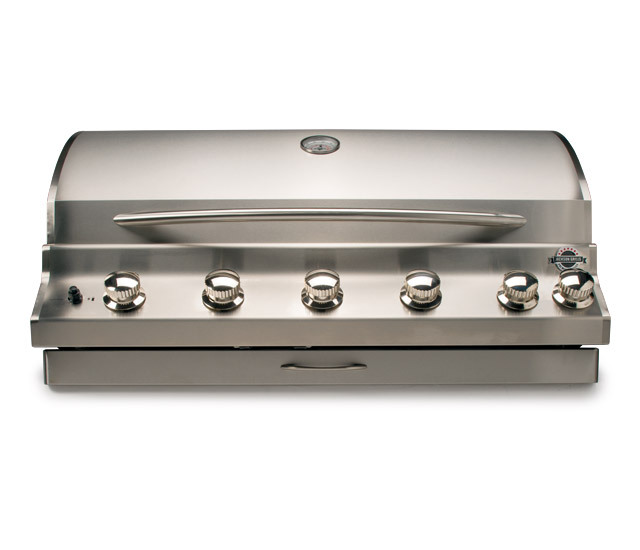 The Premier 850 Built In features our 13,500 BTU stainless steel infrared rotisserie burner. The rotisserie burner projects intense, radiant heat evenly through your meat to help you create perfectly browned, juice-filled roasts every time. The Premier 850 Built In features a one-piece seamless welded control panel, seam-welded exterior edges, curved stainless steel double walled hood and a simple, uniform closed-seam design. The result is a high-end polished surface that is easy to clean and easy on the eyes.